Tagged under Natsuki Takaya, Studio DEEN, TMS Entertainment, Series. The use of the elements like transformations and legends is really cool, but what gave me a greater impact is the "bonds" and promises they hold for each other. The feelings they all keep inside. Also different character perspectives and attitudes like the almost-perfect character, the always-happy character, the uber-shy character and the klutzy main character, they all fit together, like a puzzle that's best when together. Also the inevitability of each characters being bound together. Having all sorts and kinds of character is really good. The use of family problems and such, acceptance and rejections. reasoning and understanding of each characters. A cute, funny series with diverse characters and emotions. 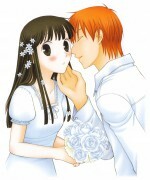 It's a shame that creative differences between the original creator and director led the anime adaptation to not continue forward as the continuing story where the romance between Kyo and Tohru blossom which is favorite part of the series as a whole. Hands down, best series of all time. The story, the characters, the twists and turns - EVERYTHING in this series was done right. I've read it many times now and I'm still finding things I didn't notice the last time I had read it. Furuba is amazing in every aspect and I reccomend it to everyone. This series is so sweet, yet very sad with how the story line is. Although the Anime is very good, I prefer the Manga, because it gives a lot more information that the Anime left out. The Anime I would give a 9 because it very well put together but the Manga would get a 10 hands down. This must be one of the sadest stories out there besides Clannad and Elfen Lied. You'll find yourself wanting to protect the characters and thinking "That's enough, just let them be" Another thing that I liked was that they used the Chinese Zodiac for the characters and that makes it more special. The anime is good but the manga is even better, specially because things are explained a lot better in the manga. The downside of the anime is that there's so few episodes so a lot of things remain unexplained. IThis was one of the first mangas I have ever read, and it was a recomendation from an old friend of mine. When I first read it I liked it, I did however later try to reread it.... to be honest I forced myself to finish it and even with that I had to skip a chunk of the series. The concept of it is kinda weird unless you actually read it (atleast to me it was) I give it a moderate because there was a period of time that I liked it. The anime was awful because they made Tohru sound even more cheerful then she was in the manga (don't ask me how) CHeerfulness in a character just makes me shiver. Let's just say it is amazing. It's about the Chinese Zodiac. All the characters can become one of the animals on the Zodiac if the opposite gender hugs them. It's perfectly perfect. Sweet. Yep. Amazing. 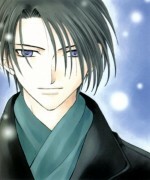 A beautiful shojo. Lots of love, friendship, sadness, stupid problems, odd situations, strange "powers" and funny characters. in Fruits Basket nothing of this happens, at least, in the anime. Graphics are very well-done and opening theme is cute and tender. way it ends for some of the characters are just a little forced. I mean, like if the mangaka wrote it quickly to end it soon. One of the first animes I watched, I quickly fell in love with the characters. Sweet, sappy, and fun, and very original! The manga could get pretty melodramatic, but it's still one of my all time favorites! Un anime qui ne m'a pas déplu. L'histoire est touchante, les graphismes sympathiques. Cependant, je peux reprocher une certaine longueur dans quelques passages ainsi qu'une prévisibilité de certaines actions. L'innocence et la naïveté de Tohru, l'héroïne sont trop prononcées à mon goût. 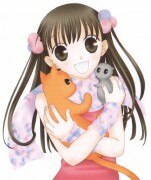 Malgré ces quelques défauts, Fruits Basket est un anime qui se laisse regarder. Cet anime arrive à adopter un caractère comique puis, l'instant d'après dramatique. Cette transition arrive à se faire très facilement, ce qui rend l'ensemble agréable. I like the Chinese horoscope. this was a good element in this anime. The ending left me bewildered I think it was an ending that could have been better. Really Good Anime! I´m in to that kind of anime that you have a bitt of every thing and this one has parts that makes you laugh so hard you have to see it again just to be shore that really happend! It will have parts that will make you really sad! It will make you feel every emotion in the planet! Tohru Honda's mother dies in a car accident, Tohru begins living in a tent and supporting herself. That is, until she finds a home in the least likely of places, inhabited by her classmate Yuki Sohma and his cousins Shigure and Kyo. The Sohmas however, live with a curse. Thirteen members of the family are possessed by spirits of the Chinese zodiac and turn into their zodiac animal when hugged by the opposite gender! LOL! Each has a different personality, just like the animals in the Chinese Zodiac. Yuki is the school prince he is the mouse, Kyo is cursed by the cat, an animal not in the Chinese zodiac but which legend says would have been if it had not been tricked by the rat into missing the induction feast. THats why they hate each other and fight all the time...They are both in love with Tohru wich makes it even more hilariouse! The other animals have their story and Tehru helps them all so its really CUTE! 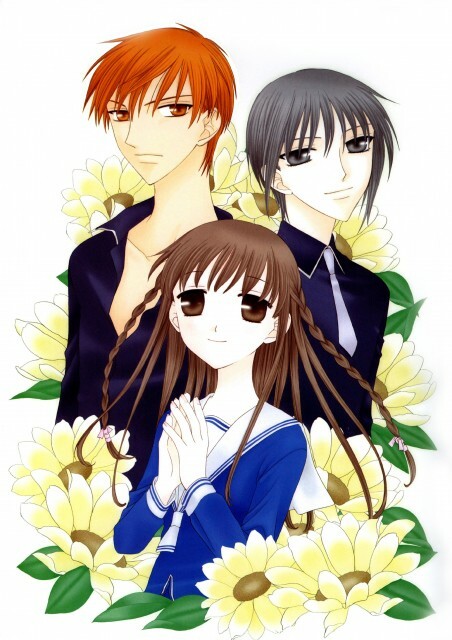 Fruits Basket is a wonderful and moving story which I consider myself fortunate enough to have been shown by a very close friend. This anime is so amazing it touch upon the strings of my heart. I laughed, I cried, and I truely felt for each of the characters. The anime is centered around a young girl by the name of Tohru Honda, an amazing high school girl who is kind and honest. At the start of the anime she is still struggling to survive after her mothers tragic death. She is taken into the house hold of the cursed family, the Sohma's. Is decently done, it is done beautifully but the main attraction of this anime is not the art but rather the story and the characters. I kept seeing anime fans saying that if one liked OHSHC, one would also like Fruits Basket. So being a fan of OHSHC, it was only natural that I accept the recommendation of more experienced anime watchers. I won't go as far as to say that I don't like this anime, but somehow it just doesn't draw me in that much. The story is sweet, the humour is nice, the characters are cute and the little message brought out in Tohru's interaction with each member of the Sohma family is great. However, Tohru sometimes really gets on my nerves with her clueless and at times down right stupid altruism. Plus, sometimes the messages are just too obviously conveyed that the blaring lack of subtlety makes the show awkward and patronising. Another reason that I'm not as attracted to the story might be that the legend of the 12 animal zodiacs to me is like what "Three Little Pigs" is to most people, seeing that I'm Chinese. But on the whole, it's still a nice and sometimes really heart-warming show. I really enjoyed watching the anime, it was really nice but it was just a beginning of the story of the manga. The true, awesome and lovely story was in the manga, great art and a very good story, at first i didn't like it because it was lovey dovey but then ii realized i really liked how the story worked out and the *spoiler* curse was broken *spoiler*. I really liked how the characters and their feelings were present too. Drama loving people certainly will love this anime and manga.